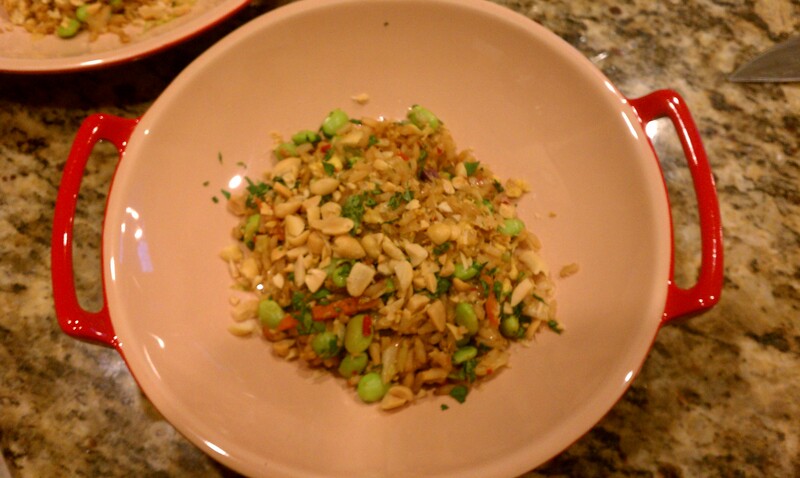 Fried Brown Rice with Edamame was a super-easy and quick dinner and made for great leftovers (who doesn’t love leftover Chinese food?). You start with a bag of cooked brown rice and add healthy pre-packed produce like coleslaw mix and shelled edamame. It was literally ready in 5 minutes, so it’s hard to even count this as “cooking”. I found the spice level a bit low, so next time I’ll double the chili-garlic sauce. And spicy shrimp would be a fantastic addition.